"Topical and thought-provoking, this mad, 'bad' book is also tremendous fun." From the acclaimed author of THE SAVAGES comes a riotous black comedy and brand new breed of outcast. Uptight schoolboy, Maurice, struggles in a world that’s taken a feral turn. Ever since a human subclass crept out of the sinkholes and hid among us, just one thing gives them away. Their offspring hit adolescence and boom! They transform into seriously anti-social monsters. The trolls, as they're less-than-affectionately known, are everywhere: in the streets, our classrooms and all over the internet. The solution? To contain these incurable troublemakers in vast, secure settlements. A school bus tour through one such sprawling urban zone is intended to be educational for Maurice and his classmates, but an unexpected event unwittingly turns the schoolboy into a wanted troll freedom fighter. Together with Wretch, a habitual fire starter with a heart of gold, and with reluctant support from social worker Candy Lau, Maurice is forced to go on the run and even shake up the system while he’s at it. 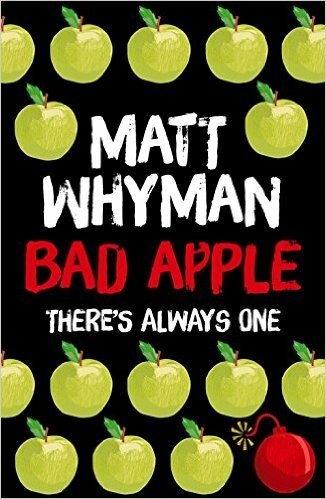 In this unique celebration of unlikely friendships – teeming with unacceptable behaviour - BAD APPLE takes trolling to another level while inviting us to take a long, hard look at ourselves.